Rich deciduous forests and borders to dry oak-hickory or (Oscoda Co.) jack pine savanna; stream banks, roadsides and fencerows, sandy prairie-like ground. A variable species, sometimes with the parts nearly as pubescent as in M. ioensis, but the loose flocculent tomentum very quickly shed. 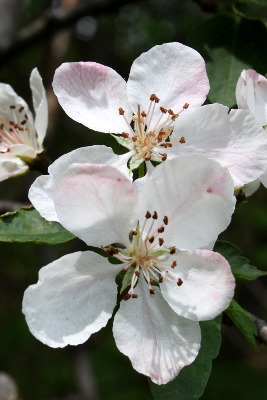 In Malus, the thorns, when present, often bear full-sized leaves or leaf scars, and have a more knobby appearance than normally found in Crataegus, which this species (and M. ioensis) may superficially resemble. Unlike our Crataegus, the flowers are sweetly fragrant. MICHIGAN FLORA ONLINE. A. A. Reznicek, E. G. Voss, & B. S. Walters. February 2011. University of Michigan. Web. 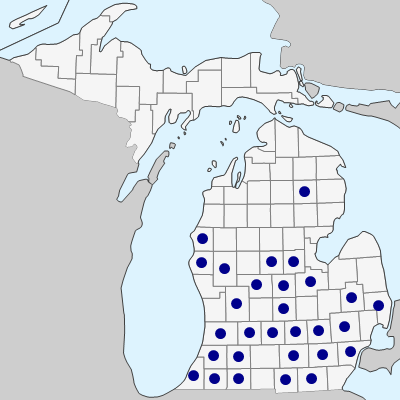 April 21, 2019. https://michiganflora.net/species.aspx?id=2497.